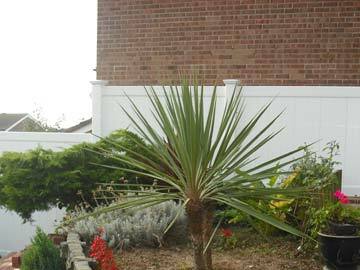 Privacy Fencing, the perfect fencing solution for your garden. 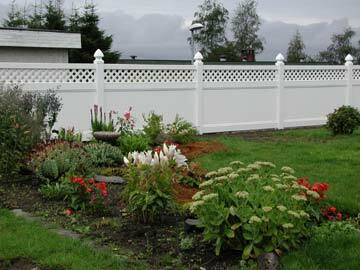 A fence that combines privacy with decorative appearance, engineered in an indestructible package. 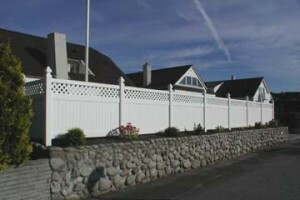 A fence that has all the Benefits of Vinyl and of course, our lifetime warranty. It does not rot or blister, discolour or fade. It is designed to flex under heavy winds, meaning it will not break or come apart. Since making its way to the UK market our Privacy Fencing has been bulletproof. 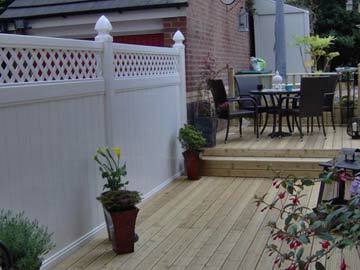 This plastic fencing adds light to your garden and without doubt helps add value to your property. This Commercial strength privacy fencing is designed with 11″ Tongue & Groove Planks. Each 11″ Plank includes 5 internal ribs for added strength and is externally grooved to give the illusion of an individual picket every 3.5″. 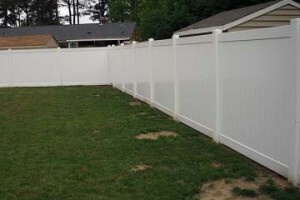 Due to the spacing in-between the ribs this fence is a great sound insulator. We can also make made to measure gates in a great range of sizes and lengths. For more information on our gates please click here. 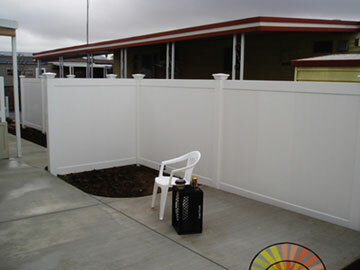 We have 2 different styles of privacy fencing, privacy fencing with lattice and without lattice. The 2 styles have the same dimension, they are both 6′ high and 8′ wide. The rails can easily be shortened on site. If you would like a privacy fence outside of these dimensions we are able to make shorter privacy panels in our workshop for small to medium orders, for larger quantity orders we would have to order from the manufacturers. Price Includes one post and one standard cap and 2″ x 2″ x 94″ H Channel Aluminum Inserts per section. Prices start from just £12.25 per foot including posts and caps and aluminum inserts.